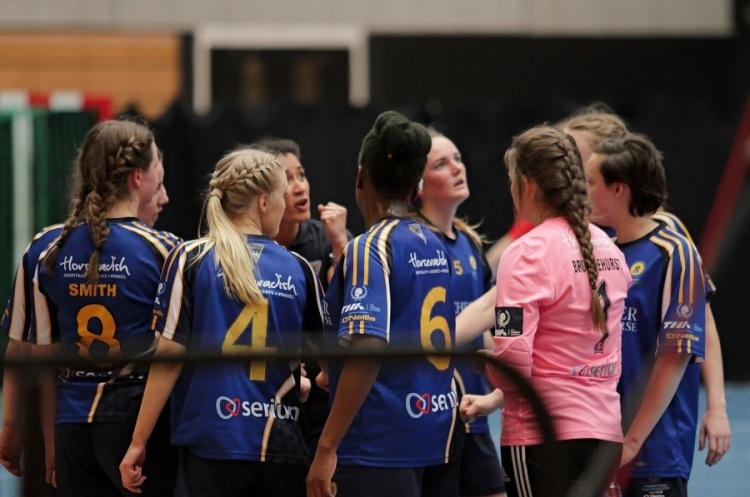 Olympia Cannock play Poole Phoenix, and Warrington Wolves play Olympia in the semi-finals of the girls’ under-18 cup at Oldham Active on Sunday. Carshalton Titans host Warrington in the boys’ semi-final, with the winner going on to play NEM Hawks in the final at the Copper Box Arena on 21 May. Cannock are the only unbeaten under-18 girls’ side. They have dropped just one point, against Warrington Wolves. Poole Phoenix who knocked out seven-time winners NEM Hawks in the quarter finals will be formidable opposition. Phoenix have lost only one game all season, and winning the championship last month will give them great confidence. In-form Warrington Wolves face an Olympia side who in their first season have already played in the National League play off quarter finals, and qualified for the semi-finals of the cup. Wolves, with three England under-19 players and three GB under-17 players will start favourites after beating Hackney GD in the league play offs last month as they bid for a second-successive final. Warrington and Cannock still have a chance of winning a league and cup double. The matches at Oldham Active throw-off at 10.00 and 12.00. Carshalton play Wolves in the boys’ semi-final at Stoke Mandeville, England Handball’s National Training Centre. Wolves will be hoping to make it to the final after losing by two goals to Oly Cats in the league play offs. Carshalton will be keen to get back to the Copper Box after missing out on the trophy to NEM Hawks in extra time in last-year’s final. The game throws off at 14.00.